Permalink: Take care of him. Bonnet: So I'll soon be gone but not forgotten. 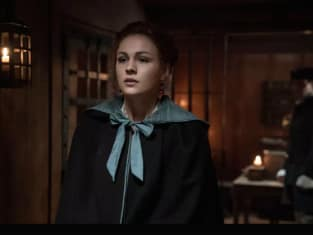 Brianna: I have no choice but to live with what you have done to me, but you will be forgotten. My baby will never know your name, will never even know that you existed. While you rot in the ground, I will raise my child to be a good person, to be nothing like you. Brianna: Do you know who I am? Bonnet: The Queen of Sheba? Permalink: The Queen of Sheba? There's from where I come from, "Look out for number one." Well, from now on, that's me. And if you're smart, you'll do the same. Turn your back on love and take your freedom. Save yourself because if you don't, no one ever will. But the difference is I've learned something from my pain. I've changed. Permalink: But the difference is I've learned something from my pain. I've changed. Your father entrusted me to look after you. I'm not sure that encompassed taking afternoon tea with a murderer.